Petunias are popular bedding and hanging basket flowers that come in many varieties. They have large flowers that resemble trumpets that almost seem to shout when in full bloom. 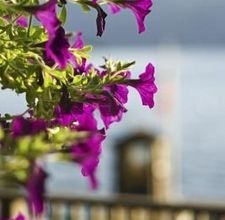 Most petunias bloom all summer long, except when it gets extremely hot. Although petunias are a heat-tolerant plant, sometimes special care is necessary to ensure the plant’s health during long dry spells. Watering petunias in hot weather requires some precautions to avoid burning the foliage. Place mulch over the soil and under the petunias. The mulch keeps the soil cool and also helps prevent the soil from drying out. Check the soil moisture level with your finger before watering. 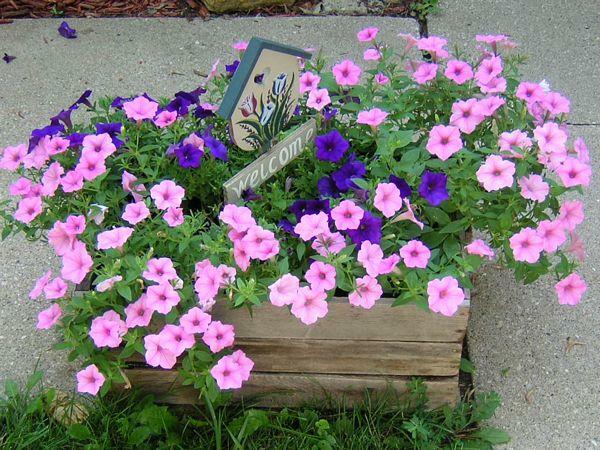 Petunias are heat tolerant and do not require watering until the soil is fairly dry. Stick a pencil or your finger 8 inches into the soil. If the soil is moist, wait another day. Check the soil dampness every day during hot weather. Water the soil with a garden hose or watering can, pointing the water directly at the base of the plant. Avoid watering directly on the leaves and flowers during hot weather. This causes burns on the petunias. Continue watering the soil until it is moist to a depth of 6 inches. If the soil is compacted, allow the water to seep into the soil once it begins to puddle on top. Do not overwater and leave standing puddles. If you have potted petunias, ensure there is good drainage. Water petunias in the early morning hours when possible. This allows plenty of time for excess water to evaporate before the sun goes down. Watering in the morning also helps prevent the leaves and foliage from burning if they get wet during the watering process.